Computers, networks, mobile technology and apps are rapidly changing health and health care – everything from how we communicate with our health care providers, to how we get information, to how health care professionals collect, share and use electronic information that directly affects our health. In addition to learning about eHealth and the advantages and limitations of computers, networks, mobile technology and apps in the health care system, students in the Health Informatics program also gain a higher level of expertise, including an understanding of the user’s needs in the design of health software, and how to analyze and evaluate information within the context of health care decision-making. Moreover, students will also learn about health management and health policy and how those sectors intersect with informatics as part of the larger health care system. 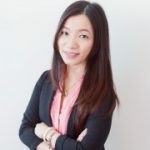 Shirley is a health informatics professional who graduated from York’s Health Informatics program and went on to complete a Master of Science in Health Informatics from the University of Victoria. In her capacity as an Informatics Specialist with the Regional Geriatric Program of Toronto located at Sunnybrook Health Sciences Centre, she has developed various customized data management systems for clients across Southern Ontario to effectively streamline the flow of data and facilitate health professionals’ access to health information. Shirley’s main interests are mobile Health, health care operations, and the role of big data in evidence-based decision making.